Daytona Beach, Fla. (December 31, 2018) WHR — Dr. Hook & The Medicine Show star Ray Sawyer has died at 81.The singer, famous for his cowboy hat and eye-patch, passed away in Florida on Monday morning after suffering a brief illness. Sawyer, perhaps best known for singing lead vocal on “Cover of Rolling Stone,” passed away in Daytona Beach, Fla., according to his publicist. No cause of death was given, but we’re told that Sawyer suffered a brief illness from which he didn’t recover. Born in Alabama in 1937, Sawyer was working as a logger in Oregon when he lost of his right eye in a car crash. His trademark eyepatch reminded his bandmates of Peter Pan’s nemesis Captain Hook and they named their act Dr. Hook & the Medicine Show. The band released its first album in 1972. With Sawyer in the band, the abbreviated Dr. Hook scored hits with songs like Sylvia’s Mother, When You’re in Love With a Beautiful Woman, and Cover of the Rolling Stone. He was inducted into the Alabama Music Hall of Fame in 2005. Badlands of Indiana (November 8, 2018) WHR — Widely considered to be one of the greatest songs of all time, “Bohemian Rhapsody” was the first single released from Queen’s fourth studio album, A Night at the Opera. It became an international success, reaching #1 in five countries and peaking at #9 in the United States. Seventeen years after its initial release, “Bohemian Rhapsody” re-entered the pop charts in the US, peaking at #2 after being featured in the 1992 hit movie Wayne’s World. In 2002, the song was listed at #1 in a Guinness World Records poll as Britain’s favourite single of all time—ranking higher than four Beatles tracks and “Imagine” by John Lennon. Complex and operatic both musically and lyrically, “Bohemian Rhapsody” (like Led Zeppelin’s “Stairway to Heaven” and The Eagles‘ “Hotel California”) has attracted endless fan theories and commentary. The surviving band members have claimed that the narrative is based on the Faust legend; critics have found possible sources in opera and Freddie Mercury’s personal biography; but like any good piece of art, it’s open to interpretation. The word “Bohemian” in the song title seems to refer not to the region in the Czech Republic, but to a group of artists and musicians from the 19th century, known for defying convention and living with disregard for standards. Meanwhile the term “rhapsody” (derived from the Greek: ῥαψῳδός or rhapsōidos for a reciter of epic poetry, or a rhapsodist) is a piece of classical music with distinct sections that are played as one movement. Rhapsodies often feature dense themes or narratives. Narrator: It's a song you've all heard at least once. And it was probably not like anything you've heard before. I'm of course talking about Queen's legendary single "Bohemian Rhapsody," a song that, even 40 years later, is one of the most influential and memorable songs of our generation. But have you ever wondered why this six-minute single that no one ever thought would be a hit became one of the most famous songs ever written? "Bohemian Rhapsody" was a song long in the making, but it officially kicked into gear in the summer of 1975, when Freddie Mercury began writing it as an operatic piece titled, "Real Life." After the success of their last album "Sheer Heart Attack," Queen was given complete creative freedom and control over their next piece. And it's obvious that they took that creative freedom and ran with it. Irwin Fisch: "Bohemian Rhapsody" had a very rare effect on people, which is that it was one of those songs where the first time you heard it, you hadn't heard anything like it. In my image is that it's the kind of song that makes you pull over to the side of the road, because you go, "What the devil is this?" Very few songs have done that, and that did. Narrator: And he's right. "Bohemian Rhapsody" was different for its time and still is today. Unlike most pop hits that lasted around three minutes, it was a six-minute pop single that has an opera, an opera, right in the middle of the song. Fisch: It actually in some ways hasn't been influential, because it was so fully realized that it was a little bit of, "Where do we go from here?" It managed to become a ubiquitous part of the culture and something that never gets off the radio and never stops in the karaoke bars and is used in movies, and it's all over the place because nobody has still done anything that sounds like that. Narrator: One of the reasons why "Bohemian Rhapsody" sounds so different is in its structure. The song is neither an a cappella, a ballad, an opera or rock. It's actually all of them in one song. Fisch: It advanced a tradition of suites in pop music, meaning not a continuous song, not a verse, chorus, verse, chorus, bridge structure, which was the norm. A put together group of different songs, in essence. So if people refer to "Bohemian Rhapsody" as a song, that's a bit of a misnomer. It's actually three or four songs. Narrator: "Bohemian Rhapsody" can actually be divided into five different sections: an a cappella introduction. Ballad. Opera. Hard rock. And finally a reflective coda. It was also highly unusual for a popular single to not include a chorus, while combining different musical styles and lyrics. It is by definition a mind-blowing genre bender. Fisch: This innovation started around the mid-'60s. It started basically with the Beach Boys and the Beatles. Beach Boys with "Good Vibrations." The Beatles with "A Day in the Life." Epic songs that pieced together different ideas into a cohesive whole. Queen, in "Bohemian Rhapsody," took that idea and pushed it way over the top. Narrator: And to see just how over the top they went, you need to look no farther than this operatic section of the song. The lyrics name characters from classical Italian theaters, quotes from the Quran, and the demon Beelzebub. And this section that sounds like it's been sung by a roomful of choir was actually just three people: Freddie Mercury, drummer Roger Taylor, and guitarist Brian May. It's not just the vocals; there's harmony everywhere, even in the instruments that almost sound like echoes. This technique was heavily inspired by a production method called the "Wall of Sound," developed in 1960 by producer Phil Spector. He put masses of musicians in one room, three keyboard players playing the same part but in various similar instruments, like the harpsichord or an electric piano, and recording them together to create a sound the likes of which had never been heard before. That was exactly what Queen wanted to accomplish. Fisch: When people talk about what a great song "Bohemian Rhapsody" is, they're talking equally, or even more, about the production. Narrator: To achieve the sound that they wanted, Queen used a technique known as reduction mixing, also called ping pong recording. Most of the pop songs you listen to today use a lot of audio tracks, each track reserved for different instruments and vocals, combining to make one song. But back then, technology limited the amount of audio tracks that could be used. For example, Beatles' legendary "Sgt. Pepper's" was recorded on an analog four-track record. And to fit more than four tracks in a four-track record, they would record all four tracks, then bounce all their tracks into one, record, bounce again, and repeat. The bounce tracks would combine all of the tracks into one, meaning if you raise the sound of that particular track, it would raise the volume of all the individual tracks within. Fisch: Part of the great challenge of that process was that you had to make commitments to your mix, to the blending of everything as you went along, so you needed to have a lot of foresight and a great image of where you were going. By the time Queen made "Bohemian Rhapsody," we were up to 24-track tape. By today's standards, that's still not many tracks. They had so many vocals and they had so many layers of guitars. I've heard that they had about 180 individual tracks that got put onto a 24-track, two-inch tape. Narrator: But of course this method of bouncing tracks came with its own challenges. Once it's done, you can't go back to just fix it, like we can do now. Fisch: Two-inch, 24-track tape that they were working on, it was a physical process. It was a razor blade. It was an edit block where the tape would sit there. You would slice through the two-inch tape. You would cut out what you wanted to cut out. And you would splice it together with a little piece of white tape. Now it's very easy digitally. You chop it on the screen. If you made a mistake, you can fix it. Everything now is non-destructive. Everything they did then was destructive, so it took a lot of commitment and a lot of knowledge and a very, very intense, deep skillset to be able to piece that stuff together and have it sound smooth. Narrator: Just how much tracking went into the song becomes more evident when you remove the instruments to just listen to the vocals. Fisch: And before the Beatles and before the Beach Boys, a song was a song. It needed to be presentable on the piano. If you sat down and played "Bohemian Rhapsody" from start to finish on the piano, you probably would say, "Wow, that's really wild and interesting." But you probably wouldn't say that's going to be a hit that's gonna endure for 40 years. What made it that had a lot to do with the sound they created. Narrator: And of course, it's hard to talk about "Bohemian Rhapsody" without talking about the man behind the song, Freddie Mercury, because this song was his baby, his brainchild. Unlike most of Queen's songs that were written collaboratively in the studio, this was a song that, according to the guitarist Brian May, was "all in Freddie's head" before it even began recording. 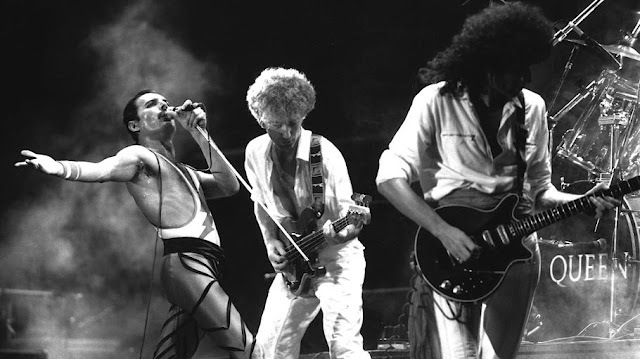 Fisch: Freddie Mercury talked about the song in an interview as "experimentation in sound." I think that could be taken to mean that the experiment was to see if he could get what was in his head, his sonic preconceptions, out there. I don't think it was the kind of experimentation where they went into the studio to just see what would happen, because he was famously buttoned-up and had the production and the notes and the arrangements and sound of the thing in his head. I think the experiment was really about seeing if something unique could be realized in the studio. An important reason that "Bohemian Rhapsody" resonates and has resonated for over 40 years is that it embodied something very intense, which is Freddie Mercury's personality and life. That record is an oral extension of Freddie Mercury's self-consciousness without shame. It's music in some ways the sensibilities are out of the closet. As a performer, there hadn't been a Freddie Mercury before Freddie Mercury. Narrator: And perhaps beyond all the notes, lyrics and performances, what truly makes "Bohemian Rhapsody" great is that it embodies what every musical piece should be: the talent and the drive to push boundaries and create something that brings us together, even 40 years later. In a time where pop songs just all generally sound the same, maybe that's why we still can't stop listening to "Bohemian Rhapsody." With just this one song, Freddie Mercury and Queen became something that very few artists managed to achieve: a legend. 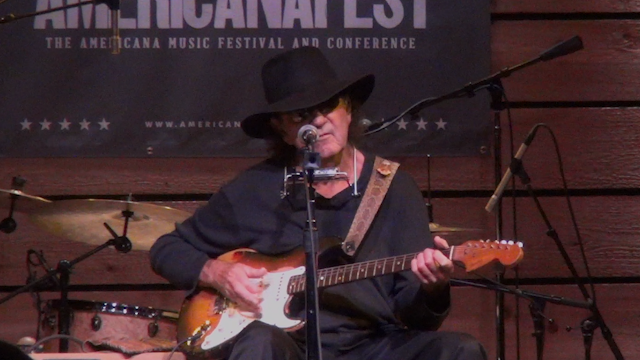 Nashville, TN (October 25, 2018) WHR —A record label representative says Tony Joe White, the country bluesman and hit songwriter behind such successes as "Polk Salad Annie" and "Rainy Night in Georgia," has died. He was 75. A statement released Thursday from the record label Yep Roc Music Group said White's family confirmed the rocker died Wednesday in Nashville, Tennessee. The label did not have any details on his cause of death. Yep Roc released his last album in September called "Bad Mouthin,'" a collection of blues classics. White, originally from Louisiana, had a hit in 1969 with "Polk Salad Annie" and his songs were covered by Elvis Presley, Hank Williams Jr., Tina Turner, Ray Charles, Waylon Jennings and many more. In his five decades as a singer-songwriter, White was best known for his swamp rock style mixing blues, country and rock 'n' roll, which earned him the nickname the Swamp Fox especially with his fans overseas. With his deep growling voice, his song about the Southern greens wasn't an immediate hit, but months after its release it eventually became a pop hit. White told The Associated Press in 2006 that in the late '60s many people thought he was singing about something else. "Back then, people thought polk salad was grass," White said. "They'd bring me bags of grass backstage and say, 'Hey, we brought you a little polk.'" Presley often covered the song in the 1970s and performed it with relish, waving his arms over his head and dancing throughout the song. He would later record more of White's songs, including "I've Got a Thing About You Baby." Raised on a cotton farm in Goodwill, Louisiana, about 20 miles west of the Mississippi River, he became infatuated with the hypnotic sound of Lightnin' Hopkins and has often cited hearing the song "Ode to Billie Joe" by Bobbie Gentry as his inspiration for songwriting. After the success of "Polk Salad Annie," R&B artist Brook Benton had a hit in 1970 with White's song "Rainy Night in Georgia," which also became a song often covered by other artists. Jennings and White also wrote "Trouble Man," which Jennings recorded in 1989. White worked with Turner on her critically acclaimed and popular "Foreign Affair" album in 1989, contributing four songs and playing guitar and harmonica. White said also in 2006 that Turner was taken aback when they first met. "She turned around and looked at me and started hysterically laughing and couldn't get her breath," he recalled. "She was doubling over and I thought, 'Are my pants unzipped or something?' Finally she got her breath and came over to me and gave me a big hug and said, 'I'm sorry, man. 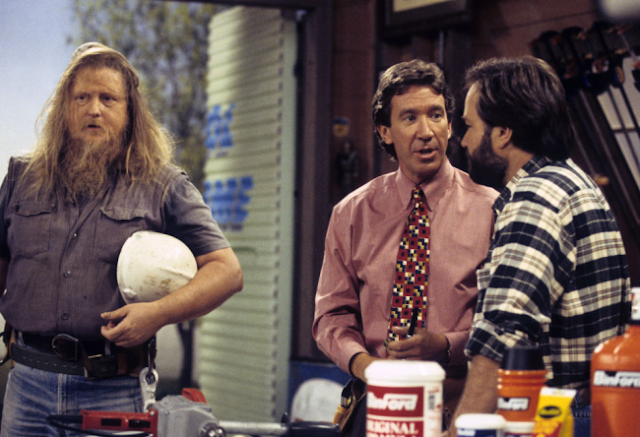 Ever since 'Polk Salad Annie' I always thought you were a black man.'" Turner recorded his song "Steamy Windows," which was later recorded by John Anderson and Kenny Chesney. Tanya Tucker, who recorded his song "Gospel Singer," said in a statement that White's writing and voice were both raw and pure. "A big part of the South is quiet now with his passing," she said. "Reckon God wanted a little polk salad!" Shooter Jennings, Waylon's son, wrote on Twitter that his father would often record White's songs or have White play on his records. 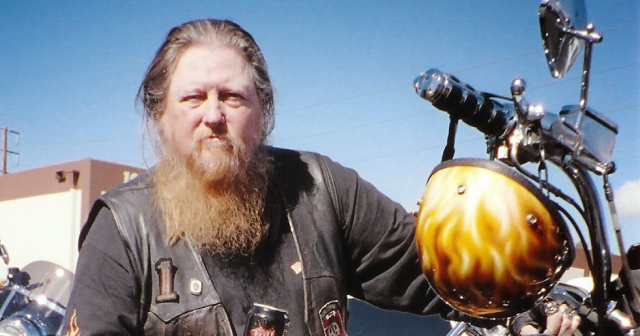 "He was always the Swamp King living in a modern world," Jennings wrote. "His shows and his style were one of a kind and untouched by anybody else." Badlands of Indiana (October 17, 2018) WHR — Music fans of all persuasions have now been invited to vote in the Rock And Roll Hall Of Fame’s annual Fan Vote. For the seventh year running, fans will be able to have their say in the Fan Vote, with the five artists who receive the most votes making up a “fan’s ballot” that will help determine who makes it into the prestigious Rock Hall. 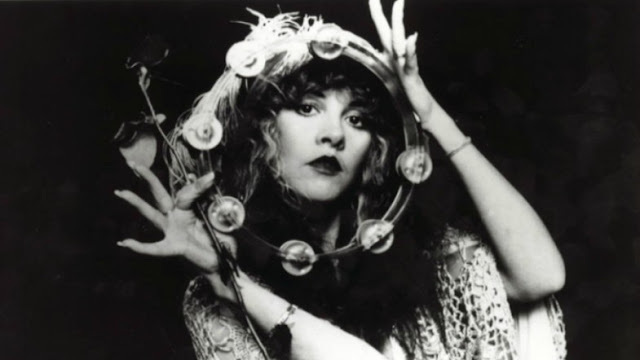 The Class Of 2019 – which includes first-time nominees Def Leppard, Stevie Nicks, Todd Rundgren, Roxy Music, John Prine and Devo – will also be decided by artists, members of the music industry, journalists and music historians. The other influential acts to be nominated for the 2019 Rock Hall are The Cure, the MC5, Rufus featuring Chaka Khan, Rage Against The Machine, Janet Jackson and two acts previously nominated for induction in 2018, Radiohead and The Zombies. Also on the nominees list are Kraftwerk and LL Cool J, both of whom have previously received four Rock Hall nominations. To be eligible for induction into the prestigious Rock And Roll Hall Of Fame, an individual artist or band must have released their first commercial recording at least 25 years prior to the year of nomination. Several of the nominees have enjoyed high profile success during 2018. Iconic Yorkshire rockers Def Leppard and Journey played an acclaimed co-headlining North American tour across the summer, performing to some of the biggest houses of their career. According to reports in Billboard, the two bands playing in venues ranging from 8,500-seat arenas to 45,000-capacity baseball parks. Def Leppard have also recently announced the imminent release of an upgraded greatest hits anthology, The Story So Far, while The Cure have confirmed a series of huge festival appearances for the summer of 2019, including South Africa’s Rock On The Lawns and Malahide Castle in Dublin, Ireland. As uDiscover Music previously reported, the winners will be announced in December 2018, with the induction ceremony taking place at the Barclays Center in Brooklyn, on 29 March 2019. Ticket information will be released in January. 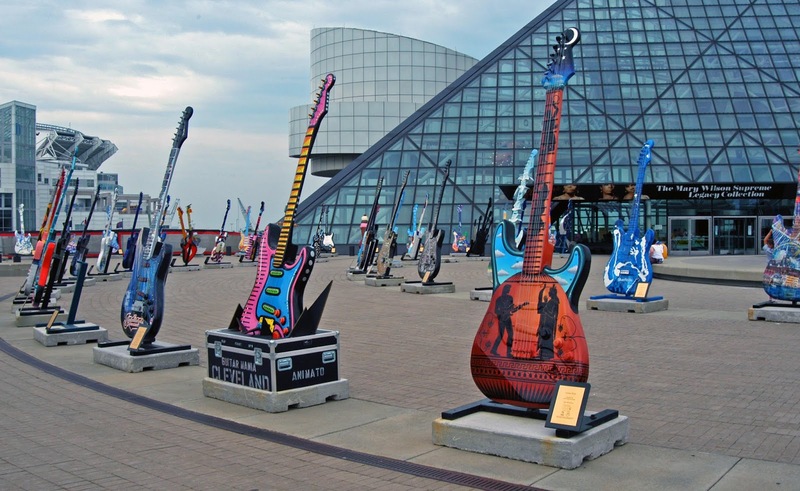 To enter, visit the Rock and Roll Hall of Fame and enter your selections. Hurry, it ends December 9, 2018. Badlands of Indiana (October 1, 2018) WHR — In the musically-rich history of Macon, Ga., families like the Waldens and Allmans left a huge mark on American rock history with Capricorn Records. The local business with major label ties provided a global sounding board for Southern rock in the 1970’s. Decades later, it remains a symbol of excellence for fans of jam bands, Southern rock and other forms of roots-based popular music that predate Americana. In the 1960’s, brothers Phil and Alan Walden found a niche in the music business as managers of regional R&B talents, including Clarence Carter, Johnny Jenkins and local treasure Otis Redding. Initial plans for a record label that’d revolve around Redding had to be reconsidered after the singer’s 1967 passing. Phil’s music business involvement often paired him with Atlantic Records’ Jerry Wexler. Through that work relationship, he discovered a different building block for a Georgia-based imprint in Atlantic session musician Duane Allman. 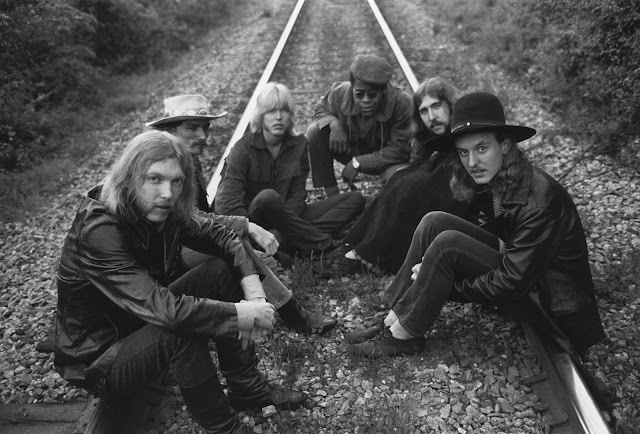 Duane, his brother Gregg Allman and the rest of The Allman Brothers Band relocated from Jacksonville, Fl. to Macon in 1969 to become the cornerstone for Phil Walden and co-founder Frank Fenter’s Atlantic/ATCO Records-distributed Capricorn Records. The Allmans and their supporting cast need no introduction as classic rock artists, bluesy proto-Americana innovators or the granddaddies of the jam band scene. Late ’60s and early ’70s releases by The Allman Brothers, Bonnie Bramblett, Wet Willie and others served as stepping stones for Southern rock as it emerged from the smoky clubs that hosted both country music and the blues. After the smash success of the 1971 Allman Brothers live album At Fillmore East, Walden moved the label to Warner Bros. Despite the 1972 death of Duane Allman and the Allman Brothers’ short-lived 1976 breakup, the Southern rock imprint barely lost a step as the home of The Marshall Tucker Band, Cowboy, Elvin Bishop, Dixie Dregs, Stillwater and even country singer Billy Joe Shaver. From outside of the South and Southwest came heavy rock supergroup Captain Beyond, a psychedelic answer to Black Sabbath called White Witch and two of James Taylor’s brothers, Livingston and Alex. Those exceptions aside, the Capricorn catalog reminds us that Southern rock was the Americana of its time–a country and rock-leaning interpretation of regional folk and popular sounds. Although these acts probably held bluegrass masters, the Rolling Stones, country blues greats and peers like Charlie Daniels in similar regard, each sounded at least a little different from their label mates. For example, The Marshall Tucker Band’s guitarist and lead songwriter Toy Caldwell and Wet Willie’s frontman Jimmy Hall were cut from similar musical cloth, but their bands had separate identities from their label mates. Changing trends and other factors forced Capricorn’s final distributor of its original run, Polygram, to cut ties in 1979. Walden rebooted the label in Nashville in 1990. The success that followed built around Athens, Ga.’s own Southern-flavored jam band giants, Widespread Panic. Their label mates ranged from Col. Bruce Hampton’s Aquarium Rescue Unit and Lynyrd Skynyrd to 311 and Cake. Kenny Chesney’s debut album In My Wildest Dreams was also released on the label in 1994. Decades later, the label’s original run represents a creatively free time when hippies and rockers took country and roots sounds to a broader audience as Southern rockers, “newgrass” pickers and members of some of the earliest jam bands. San Francisco, California (September 28, 2018) WHR — A U.S. appeals court on Friday ordered a new trial in a lawsuit accusing Led Zeppelin of copying an obscure 1960s instrumental for the intro to its classic 1971 rock anthem "Stairway to Heaven." Michael Skidmore, a trustee for the estate of late Spirit guitarist Randy Wolfe, filed the law suit against Led Zeppelin in 2015. 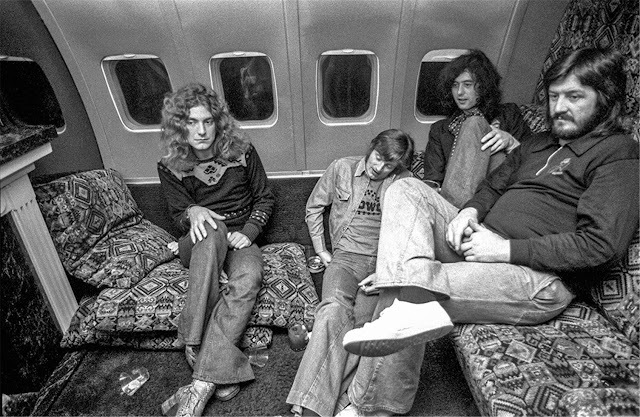 Jurors returned their verdict for Led Zeppelin after a five-day trial at which band members Jimmy Page and Robert Plant testified. Page and Plant, who wrote the "Stairway" lyrics, said their creation was an original. 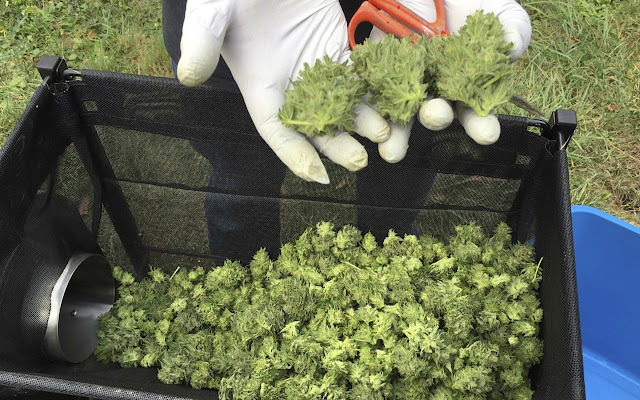 Nearly 1 million pounds of marijuana remains unsold from 2017 in a saturated market. “Oregon has a huge oversupply,” Staley said. “Right now in the system there’s three times the yearly consumption (of the amount that was bought last year) sitting out there.” Increasingly successful grows by established farms, coupled with more producers coming online, have culminated in a glut. There are currently more than 1,000 licensed growers in Oregon with nearly 1,000 more seeking a license. “There’s a lot more being produced than the state consumes,” Staley said. The steepest drop occurred in January, just after fall 2017 harvests hit store shelves. “The fall harvests came in and just flooded the market,” Staley said. “Once it was flooded, it never stopped.” With another fall harvest looming, producers are concerned what impact another major influx will have on wholesale prices. Staley, 43, was born and raised in the area, a graduate of the Astoria High School, class of 1993. In April 2016, he acquired a license to grow recreationally as a micro tier-1 grower, the smallest of three classifications designated based on canopy space. He is permitted to grow up to 650 feet of canopy, but has kept it much smaller and more manageable. His entire operation is contained inside a refurbished woodshed. “I’m tiny,” Staley said. He has about 60 plants in different stages of growth at a given time. “It was basically what I could do here. The medical side was looking like a dead-end street. I had to either do that (micro Tier 1) or give it up entirely.” He harvests about a dozen plants in three- to five-week cycles. His goal is to harvest around 1.5 to 2 pounds of pot per plot. He estimated that he harvested a total of about 20 pounds in 2017. Staley grows 14 unique strains including Electric Velvet, Walluski Sour, Pacific Sunrise, Spruce Goose, Thai Pearl and Fizzy Pop. He also grows classic strains such as Williams Wonder, Bubba Kush, California Orange and Blueberry. Schrom, a rare sativa variety born from crossing Santa Maria Columbian Gold and Romulan featuring a soaring energetic high and a strong odor of lemon and cedar, is among his personal favorites. 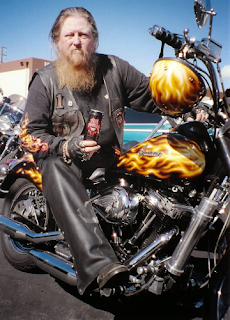 Staley also grows a strain called The Haog, also known as Hells OG Kush, a strain once reportedly run by the Hells Angels biker club that inspired its name. The strains have been personally chosen over time for their ability to consistently provide positive experiences and effects, Staley said. 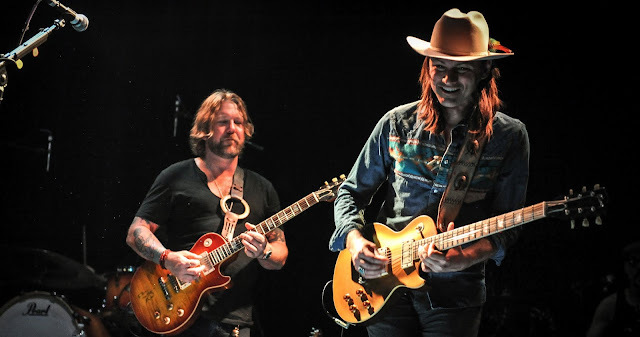 Asheville, North Carolina (September 23, 2018) WHR — In early May this year, at a gig in Asheville, North Carolina, the Devon Allman Project were 33 minutes into their set list when Duane Betts joined them on stage as a surprise guest. Betts, skinny and long-haired, sat on a stool with his guitar, as the band launched into Friend Of The Devil, the well-known Grateful Dead song from 1970. Betts didn’t play the first solo riff that came up after the first verse; it was the band’s full-time guitarist Jackson Stokes who did that honour. But when Betts’ guitar finally kicked in a couple of minutes later, the crowd erupted. His licks were incredibly sweet sounding and subtle but you could tell right away that this was a master rock guitarist. When Devon Allman, lead singer, guitarist and frontman of the band finished singing the last verse of the song, Betts launched into a concluding riff before raising his guitar over his head to the crowd and quietly stepping off stage. Allman, Betts, and Duane...these are dear names for rock fans, especially those who were weaned on a diet that was heavy with the sound of southern rock. For many music fans like me, the Allman Brothers Band, formed in 1969, rank very high on their list of all-time favourites. That band had its share of tragedies: its leader and ace guitarist Duane Allman was killed in a motorcycle accident just two years after the band was established; and months later, bassist Berry Oakley died in similar circumstances. The band carried on though with the other founding members, including Gregg Allman and the second guitarist Dickey Betts. Later, and not amicably, Betts was replaced with other guitarists, including Warren Haynes, Derek Trucks and Jimmy Herring, and the Allman Brothers Band toured and recorded till they disbanded in 2014, three years before Gregg died. Devon, 46, is Gregg’s son; and Duane Betts, around 35, is Dickey’s son. 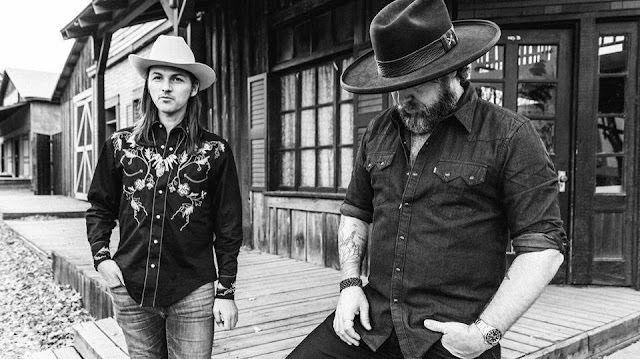 After that guest appearance on the Devon Allman Project in May, he’s now touring with the band on its journey to keep southern rock’s legacy, and especially that of their fathers’ storied band, alive. Devon, older and more seasoned of the two, is already a veteran of two other bands: Honeytribe, a blues-rock band that he leads; and Royal Southern Brotherhood, a sort of blues-rock super group. But with the new Devon Allman Project, he is reviving the legacy of the Allman Brothers. That, however, doesn’t mean that his new band only does covers of Allman Brothers’ songs. True, they do versions of some of them but their repertoire has mainly original compositions that recall the southern rock genre that Allman Brothers pioneered: Electric guitars and vocals play a central role; and long jams are typical, especially during live performances. Devon’s musical evolution has been interesting. His parents divorced when he was an infant and Devon finally met his father for the first time only in his late teens. He grew up liking heavy metal and, in an interview with Rolling Stone magazine, says that among the bands he liked were The Cure and The Smiths—whose proximity to southern rock of the type his father’s band played was remote. But when he picked up the guitar at 13, he also explored the blues for which his inspiration was stars such as B.B. King and Buddy Guy. He has at least nine albums (from solo and collaborative projects) out and a distinct guitar-driven blues-rock sound but with influences also of heavier genres, including metal. Duane Betts, who has played with his father Dickey’s band (Dickey Betts and the Great Southern) and with Dawes, a folk rock band from Los Angeles, has a style and sound that is closer to early southern rock—more bluesy and folksy. On his debut solo EP, Sketches Of American Music, which came out this May, his guitar-playing style evokes those of his father’s as well as his namesake, the late Duane Allman. Sketches is a superb first album that provides a glimpse of the huge potential that he has. Two songs, Taking Time and Downtown Runaround, are standouts that every blues-rock fan should check out. Devon and Duane are believed to be working on an album that they’re writing together but it will be out only in 2019. Till then there are the shows from the tour that they’ve embarked upon from July this year. Besides the US, they’ve played in Europe and Britain, drawing audiences that include ageing southern rock fans as well as younger converts. Then there are their albums to check out. Allman’s most recent solo is the full-length Ride Or Die whose 12 songs also include a cover of The Cure’s A Night Like This. Devon has looks that are similar to his father—Gregg’s dirty blond hair—and in his distinctive voice you can discern elements of the senior Allman’s vocal style, yet there is a hard rock dimension to his singing and guitar-playing that works rather well in his quest to further the legacy of southern rock but also bring to it something more contemporary. Just before Allman Brothers disbanded, they had a stunning line-up at live shows with star guitarists such as Warren Haynes and Derek Trucks. If you were lucky to catch some of their gigs during those last years, it always was a treat. I caught one on a rainy night in 2011 at New York’s Beacon Theatre and was mesmerized. When they decided to stop touring or recording, fans worldwide were disappointed and saddened further when Gregg died. But with their new project, the second-gen combination of an Allman and a Betts promises to bring back some joy.